Its Fall! That means it’s time for Fall Maintenance; to protect and prepare your rental property for colder weather. Proactive fall maintenance protects the long-term value of your investment. We recommend 4 optional services this time of year to keep your property well maintained. Fall heating, ventilation, and air conditioning maintenance is an essential part of preserving the life of your heating and cooling system. Avoid expensive repairs due to neglect and keep your tenants comfortable. As cooler weather approaches it’s time to make sure the heating system is in good working order, clean or replace heating and ventilation system filters, remove buildup on fans and forced airways, bleed air from any hot water radiators, protect the outside air conditioning unit if applicable, check basement humidity, check and clean dehumidifiers and humidifiers, and set damper as appropriate. It’s also time for a fall property inspection where we schedule a complete assessment of your property inside and out to verify lease compliance and report on any needed repairs so they can be addressed proactively. 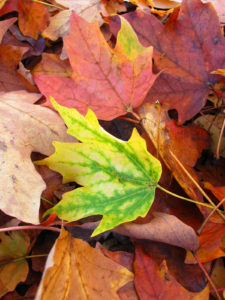 Also, order fall landscape maintenance to preserve your property’s long-term value. This may include fertilization and fall pruning of shrubs and trees. It is also an opportunity to remove any plants or roots that contact or impact the siding or brick. Finally, if your rental property has a functional fireplace or wood stove, now is also the time for a good old-fashioned chimney sweep. All wood-burning appliance or fireplace chimneys are clean and inspected for end-of-season problems. The chimney cap and caulking between the cap and the chimney are checked and any obstructions such as nests are removed. Seasonal maintenance protects you, your property, and your tenants. Your Real Property Management team is here to assist you in every season of the year. Call us today to schedule your Fall maintenance. For further education about Property Management click here or Contact us.